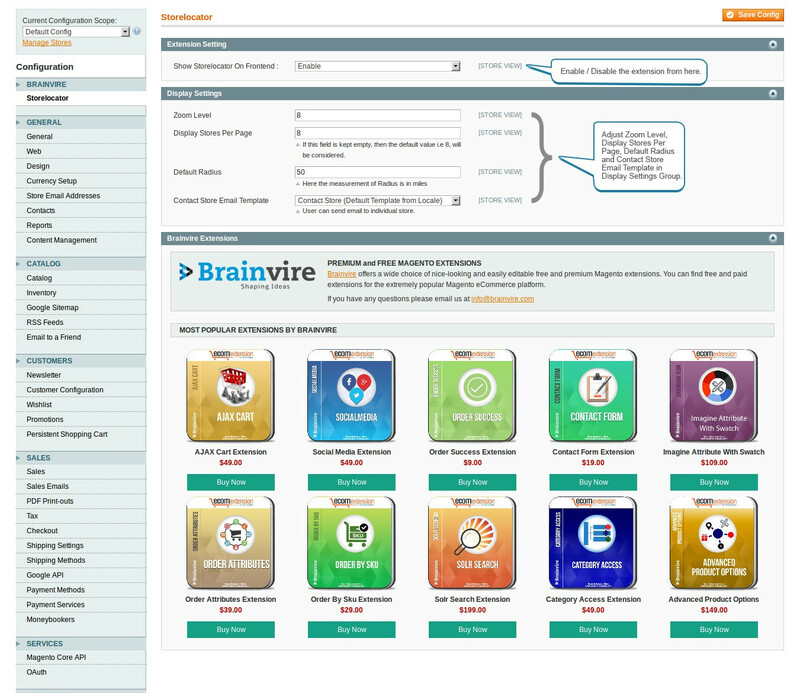 Brainvire Store Locator extension for Magento lets your customers find the brick and mortar store of that online store. 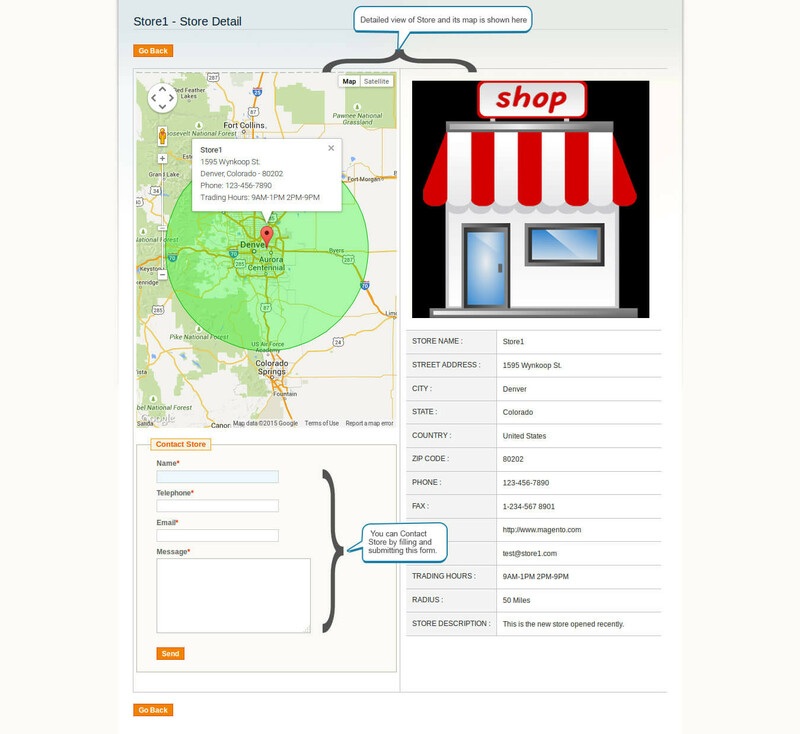 Also, it helps them to get there and provides important information regarding those stores. 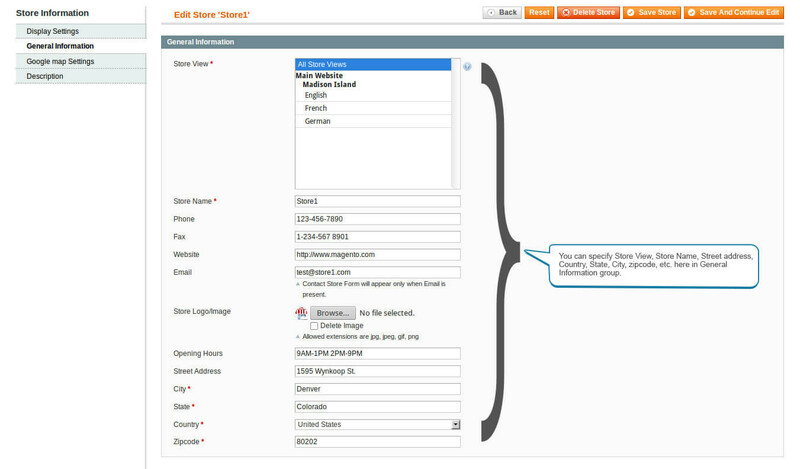 If your customers visit your online store, but wish to buy the product from its brick and mortar shop located near them, Brainvire Store Locator extension for Magento will help them locate the store and dig other information about it. 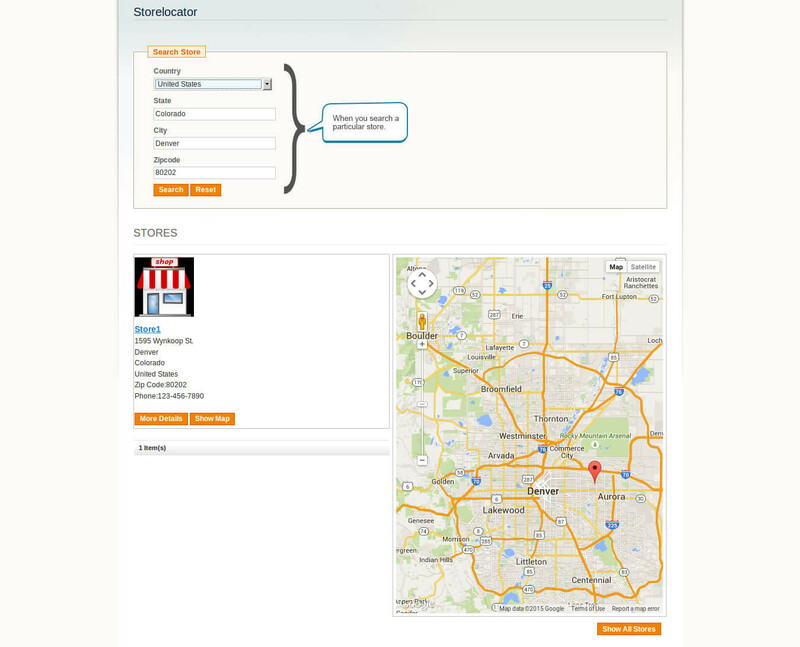 Brainvire Store Locator extension displays the list of all the stores along with the Map view which makes it easier for them to find the nearest store around you. This will save their time as well as money. As all the contact details of all the stores will be available there, they can contact you for inquiry. 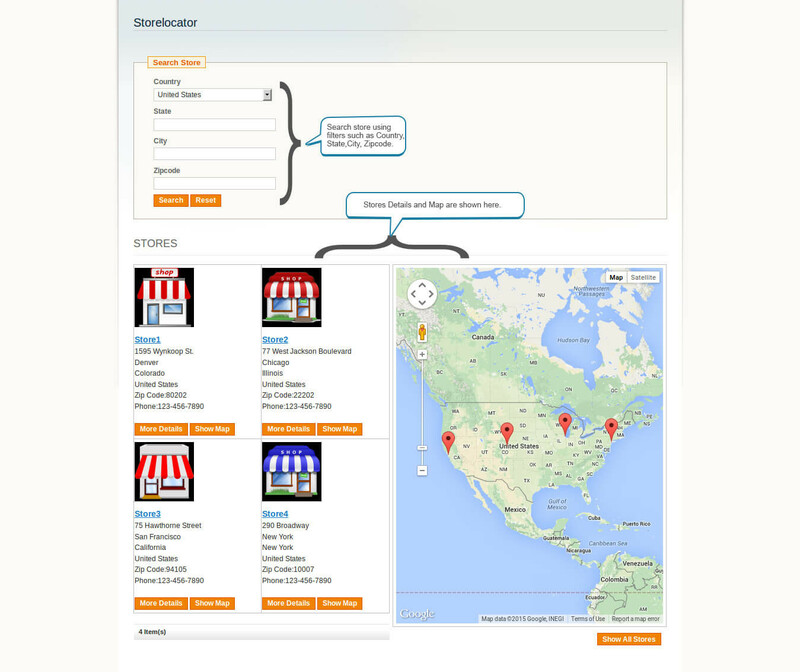 This extension will be helpful to even admin (you) to manage multiple stores from one place. You can add, remove or update the store details. They can view all the details an individual store on the map. 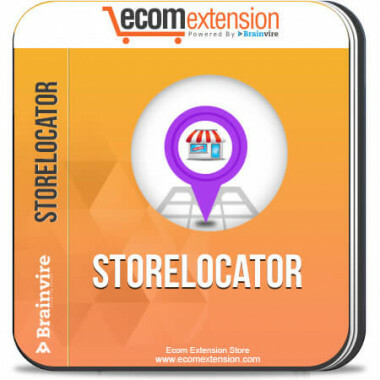 To know more about our Storelocator Extension Services feel free to call us at +1.631.897.7276 or email us at info@brainvire.com.